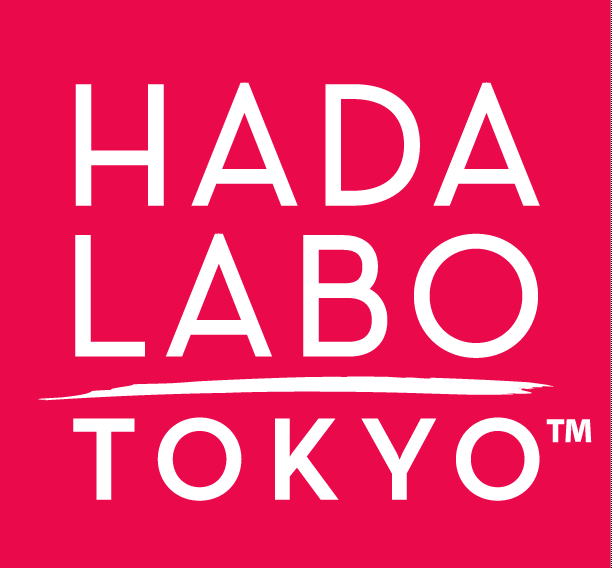 Hada Labo tokyo™ Age Correcting Eye Cream 0.5 oz is rated 4.3 out of 5 by 87. This lightweight, multifunctional eye cream is formulated to address the major signs of aging and fatigue, visibly transforming the entire eye area. *4 Week Clinical Study – Data on file. Results may vary. Gently dab and smooth a small amount around the eye area until thoroughly absorbed. Super Hyaluronic Acid TM: Proprietary combination of three types of Hyaluronic Acid. Powerful hydrator and skin plumper that provides multi-layer, long-lasting moisture to restore and strengthen skin’s natural hydrating levels. Pink Silk Tree Bark Extract: A multi-functional ingredient with skin-strengthening and micro-circulation enhancing properties that tightens and firms the eye contour area, minimizes the look of crow’s feet, and helps fade dark circles and reduces undereye puffiness. Camapu Extract: Botanical extract with anti-wrinkle and skin-soothing properties helps protect skin from the damaging effects of the sun. Collagen: Provides a basic foundation to the skin, helping to maintain and improve skin texture, structure and appearance, reducing the look of fine lines and wrinkles. Caffeine: Provides an immediate tightening effect of the skin around the eyes, diminishing the signs of fatigue and stress, like puffiness and dark circles, caused by excess under-eye fluid. Light Diffusing Pigments: Help brighten skin tone and naturally illuminate the eye area, to instantly blur the signs of aging. Rated 5 out of 5 by akatuski811 from Very Moisturizing Serum and Eye Cream After using the serum and eye cream for a week, I really like how it works for my skin (combination oily). The serum is very lightweight, it reminds me of the texture of Shiseido's Ultimune Power Infusing Concentrate. It feels very moisturizing after applying it and works well both under makeup and nighttime sleeping mask. The eye cream contains 50ml of product! Like the serum, the eye cream feels very lightweight and moisturizing as well. I would use a very small amount before sleep and makeup application, it keeps the eye area soft. I really enjoy using the serum and eye cream and definitely look forward to trying out other products in this line. Rated 5 out of 5 by TheSkincareWitch from Smoothing and moisturizing! This is a solid choice for those looking to find an eye cream to help smooth the appearance of crepe-y skin. My eye area is dry and I am looking to keep my undereyes moisturized and prevent fine lines that tend to start around my age (27). I am an esthetician and have tried many eye creams in my lifetime. Ingredients are important to me, and I am happy this eye cream contains squalane, caffiene (to help with puffiness), arginine, collagen (moisturizing), hyaluronic acid (hydrating), among others. Overall, for this price, this is a great option for those looking for a moisturizing and smoothing eye cream that can help decrease puffiness. Rated 5 out of 5 by varrington35 from Definitely a Keeper I received Hada Labo Tokyo Age Correcting Eye Cream in the mail the other day and I tried it almost immediately. Upon opening I was eager to try the product and since I had not began my routine, I thought no time like the present. I instantly fell in love with the fast absorption and noticeable moisturizing effect around my eyes. I also love the fact that there was no overwhelming smell, nor was there any greasiness! Suffice to say that I will be keeping this wonderful eye cream in my beauty routine, because when I find something that I like , I stick with it and I will be sticking with Hada Labo Toyko Age Correcting Eye Cream. Rated 5 out of 5 by Jami from Nice eye cream! I was offered this product to review and I'm so glad I was! I had never heard of this brand and was using an eye cream recommended by a friend's dermatologist who also has sensitive skin. It has a nice feel to it, not heavy at all. Not sure I would call it a cream. I used it around just my right eye for a week, then went for my haircut. I asked my stylist if she could see a difference between my eyes and she picked out the right eye immediately. It had less lines than the left and she was impressed. While it helped with my fine lines, it did not help with my bags, which would have been a nice bonus! Rated 5 out of 5 by bugaboo from Very moisturizing and pampering! I've been using this product for a little over a month now, and I'm very pleased with it! It has a really pleasant consistency, not too thin and not too heavy, which can be uncomfortable. I use it both morning and night, and having recently entered into my 30s, I have found that it works very well with helping keep the fine lines appearing around my eyes from being too noticable during the day under make-up, which likes to settle into those lines and exaggerate them. It's not a miracle worker, but I am very happy with it, with the minimal wrinkles I do have. I think if I had started using this product a couple years ago, it probably would have helped prevent so many fine lines from appearing. Rated 5 out of 5 by karalinak from HadaLabo Tokyo eye cream. I love this brand. Eye cream have a very light texture . Easy to apply ,absorb very fast ,don't have this greasy feel. Work well for under makeup also. I think main ingredients work very well. My eye area got more smoother, softer and stay hydrate all day.I liked the fact it was fragrance-free. Rated 5 out of 5 by TMac from Wow ! I am so pleased with Hada Labo tokyo Age Correcting Eye Cream. The smell is light and pleasant. It absorbs quickly and completely. For day use, I just pat a little in, let it absorb for a minute and then just get on with my makeup routine. My foundation goes on smoothly and flawlessly. I have only been using this for about a week, but I really think I see a difference. My under eye area seems smoother and more hydrated. I am going to stick with it. Great product. Thank you !